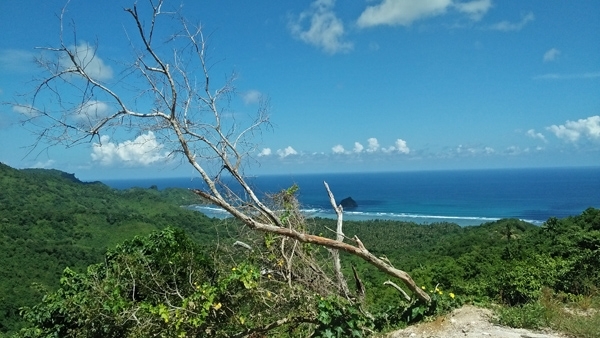 SEKOTONG is one of Lombok Barat district located on south western of Lombok Island. It has long white sandy beach, protected bays, crystal clear blue waters magnificent coral and green mountains as a backdrop. 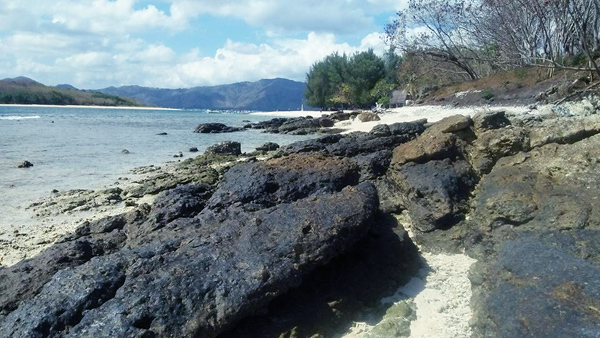 Sekotong beach is being hailed as the "new" tourist destination for visitor to Lombok. Much of the area still relatively unchanged exhibiting beautiful, natural landscapes and simple, traditional life style. The only word that comes to mind is "peaceful". Weather it's taking lazy walk on the long white beaches, soaking in the exotic sunrises and sunsets or admiring the majestic view if Mt. Rinjani, Lombok highest peak, and Mt. Agung on Bali, you will be surprised at the sense of well being that will surround you in this delightful setting. The majority of population are Sasak people who are very friendly and polite. While strolling along the beach or just sitting back relaxing, you can watch the local bringing in the catch of the day, collecting shellfish and seaweed from the low water pools or the children happily swimming in the sea, don't forget to joint them they will really make you feel at home! There is also a small enclave of Hindu villagers and their temple is the beach area. And they make an important contribution here too. Daily local market available in Pelangan, you can find the locals market the wares and produce of the area. 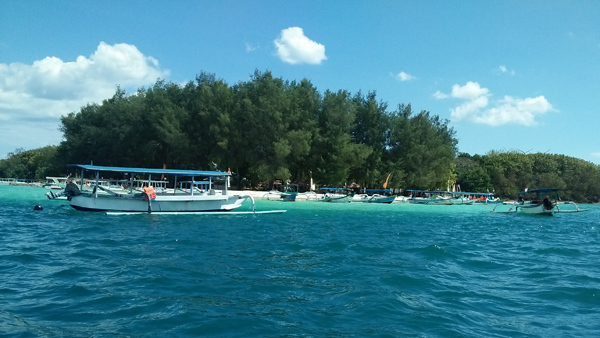 Gili Nanggu is a small Island with a beautiful white sandy beach, it is surrounded by many small Islands, which also beautiful place for snorkeling and swimming. Many visitor just do a day trip from Senggigi or Mataram area but if you want to spend longer day on the island, there is a Bungalow to stay in and restaurant serve Indonesian and European foods. Accommodation rate from Rp300,000/per room/night. 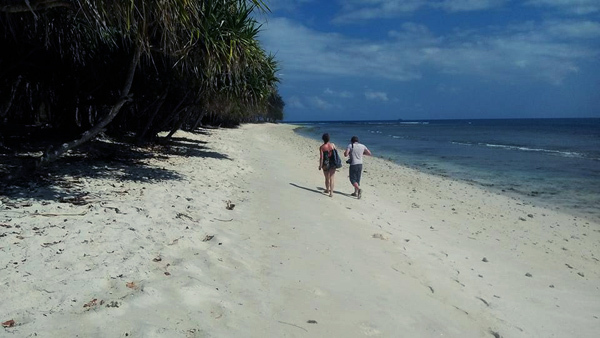 Contact your travel agent to do a trip or stay on Gili Nanggu to enjoy the tranquility of the beaches. 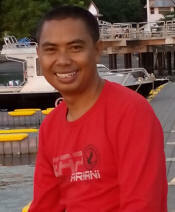 Don't have Gili Gede, Sekotongagent contact us for a tailor package trip. Gede mean big so Gili Gede is big island. 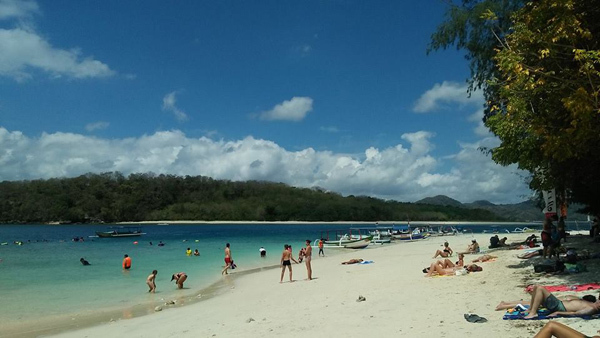 That is true that Gili Gede is the largest Gili Island on Lombok. 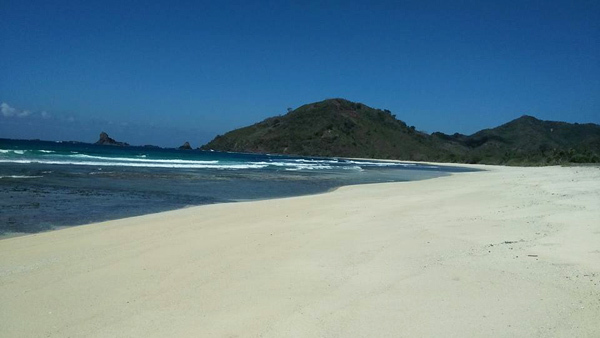 It has It has 4 Sasak traditional Fishing villages and accessible from a well well maintained Lombok highway. 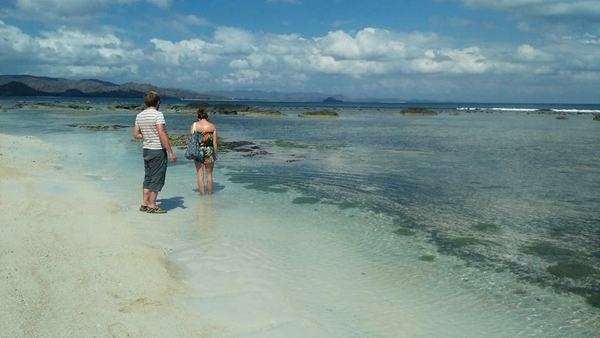 It is only 400 meters from the main island of Lombok. 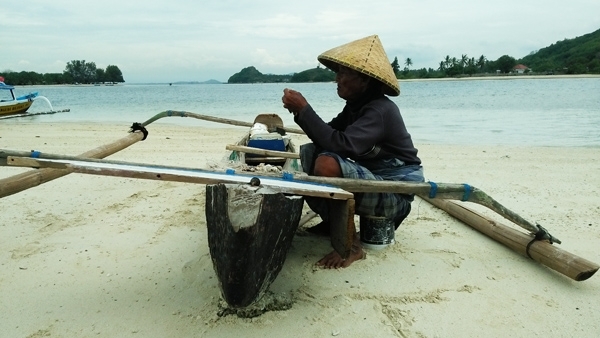 You can get there easily via a local outrigger local boat transport called "Sampan". On the island there is one resort for visitor stay called "Secret Island Resort". For those who love beach, snorkeling, diving or just want to relaxing on hidden word of paradise do not miss to visit and stay on Gili Gede. Other interesting to see is a big farm oyster industry for Pearl own by Japanese. The farm industry called "Kyoko Budaya Mutiara", it has been produces the best quality of pearl in the world. 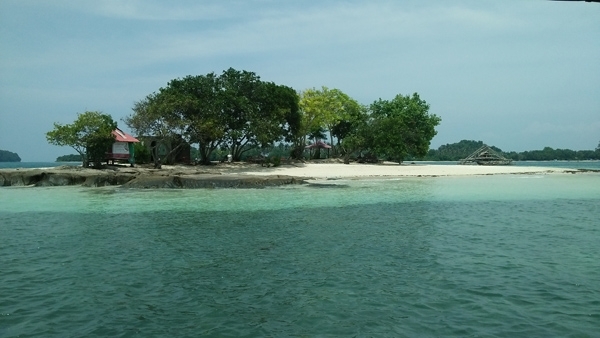 These gilis are a cluster of non populated island next to Gili Nanggu and Gili Gede on the coast of Sekotong Beach. 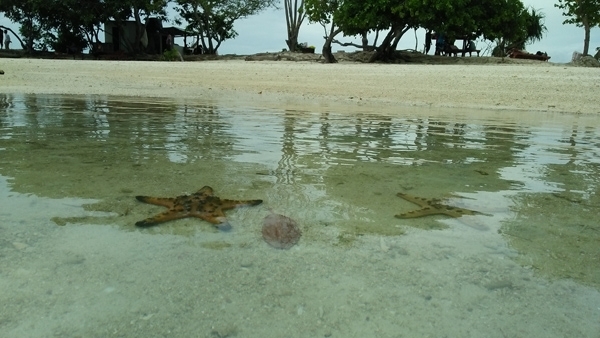 These island has many sites for snorkeling, diving, fishing and swimming. All accessible using charter outrigger locals boat (Sampan). There is no accommodation available on these and no tourist facility, whole of the day is quiet. 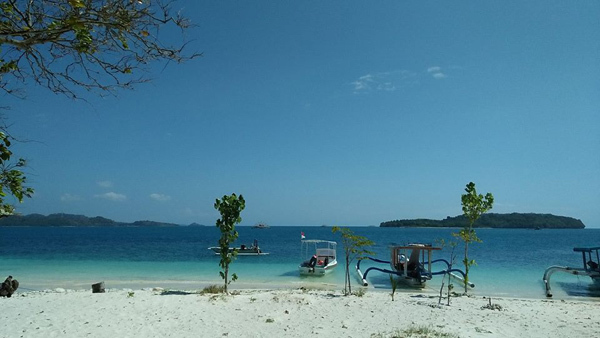 Visitor who want to spend holiday on these island should arrange one day trip or camping if want to stay overnight in the one of these island. Please contact us if you don't have travel agent to arrange this trip. Local people depend their life on agriculture, on the low land developed as terraced field for rice, corn, bean plantation. On the hilly land are planted with cashew nut and mangoes trees. Since 2008 lot of gold point founded on the hilly area of Sekotong and Pelangan that makes local people very busy doing traditional way gold mining with very simple tools. The life has been slightly change since 2 year pass by this activities, economic improved and run well. But their activities also impact to threatened environmental damage by the potential negative effects from the use of chemicals to separate gold ore from the rock. 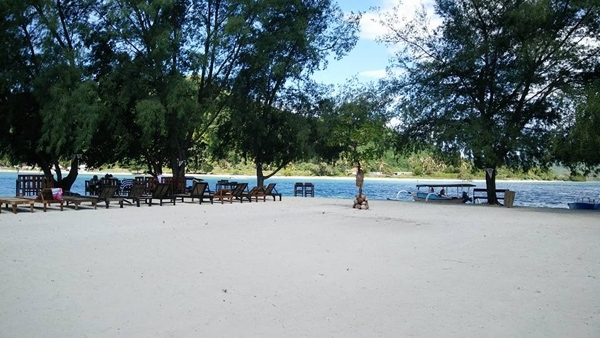 Accommodation for visitor to stay in Pelangan available at Permula beach, the name is Bola-Bola Paradise and Palm beach Bungalow, all at the front of beach. 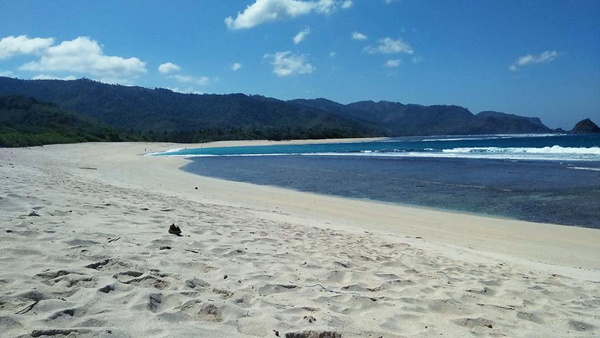 Other beautiful beach in Sekotong is Mekaki Beach, from Pasar Pelangan drive further to the south about 5km. The beach just soo white and wonderful views sweeping India ocean. The sea quiet wavy so should guided to go for swim. No accommodation available here but visitor can just stay in Pelangan and do day trip to this area. Or if you want to stay overnight here must arrange camping trip in advanced with your travel agent or contact us to arrange it for you. 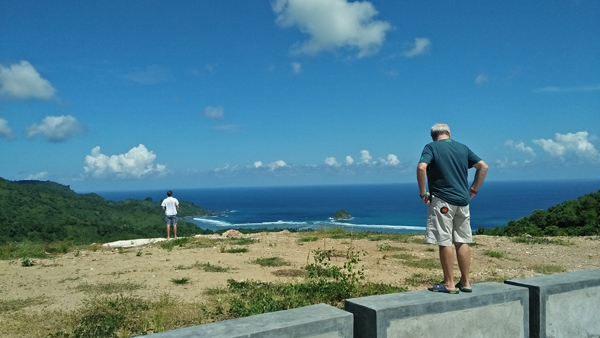 This place has been really famous by all surfers in the world as the best spot for surfing in Lombok Island. Surfers from many countries has been cameBangko Bangko Sekotong to try the wave at Desert point, Bangko-Bangko. Barrels of 20 seconds have been filmed there and 10 second tubes are common. Full or new moon low tides, a south east wind and a big swell are needed, most consistent from May to October. It can go weeks without waves, but just one Desert Point bomb will make the wait worth it. Experienced surfer only. Bring your booties an a good tube riding board. Very simple hut build for surfers to stay here but for more comfortable stay surfers always stay either in Bola-Bola Paradise, Palm Beach, In Deep or Purnama Villas. 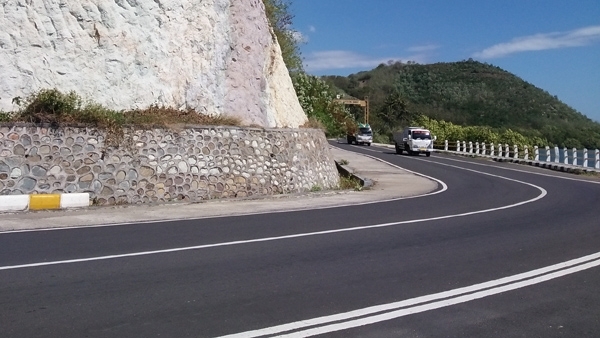 All Sekotong areas easy access either by car or Motorbike on well maintained Lombok Highway. 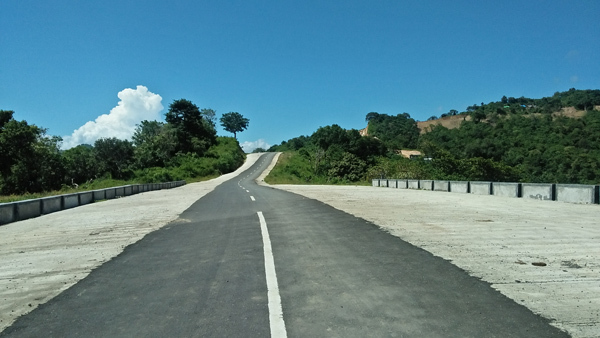 Public transportation to Sekotong and Pelangan is by Bemo depart from Lembar Bemo station, turn left 100m before ferry terminal from Mataram direction.